In Trotsky Against the Bolsheviks , Communist League & Alliance have examined the earlier history of Trotsky methodically. However, until now, we have not dealt with the myths surrounding Trotsky in the Civil War. These are however of Homeric proportions, and Marxist-Leninists should be familiar with a rebuttal. This the first of a two-part article, where we will start by examining the structure and the command of the Red Army up to 1919; a later article will specifically discuss the USSR-Polish war of 1920, and the Trotsky version of “export of revolution”. Trotsky, Lev “My Life”; New York; 1970; p. 441. However, these Heroic Myths are simply not consistent with the facts. Memo Trotsky to Central Committee dated 1st October 1919; In: Edited, Pipes R; The Unknown Lenin: From the Secret Archive; New Haven; 1996; p. 73. Both Lenin’s Collected Works for this period, and the papers known as the “Trotsky Papers 1917-1922”, [“The Trotsky Papers 1917-1922”; Ed J.M.Meijer; 1971; The Hague] show a further wealth of detail that Lenin was very well aware of events in the Civil war. It is evident that he was frequently directing Trotsky in numerous ways; or asking for very specific details that are only consistent with a deep understanding of the situation. Finally, it is evident that Lenin was frequently consulting Stalin, and even urging him to intervene in areas where Trotsky’s command was failing. Resorting to Stalin to pull Trotsky’s military chestnuts out of the fire, became a habit of Lenin. One basic later ideological position of Trotsky’s was that without socialism in other countries, the “Socialism in One Country” of the USSR would fail. This mistake of Trotsky’s has its roots early on, when he espoused the “permanent Revolution” . Rather than just leading ultimately to a serious error, it lead to serious errors in the immediate post 1917 era. This is exemplified in Trotsky’s ultra-leftist error at Brest-Litovsk, and in his conduct of the Polish Campaign. Congress in March 1919. We will take the story from there to the Polish campaigns of 1920, to Part Two of this article in the next issue of Alliance Quarterly. Editors: A Commission of the CC of the CPSU(B); “A Short History of the Communist Party Soviet Union (Bolsheviks)”; Moscow; 1939; p.208. “Short History CPSU(B)”; Ibid; p. 209. On the 10 November Lenin signed an order to demobilize the Imperial Army – until then still at war with Germany in the First World War. The army was 12 million strong, and Mikhail Kedrov oversaw the demobilization as deputy Army Commissar. By mid December Sovnarkom’s Appeal for Peace had not received any answer from the remaining warring nations. It was also clear the counter-revolutionaries were organising military forces. The Congress of Demobilization was still taking place, when Army Commissar Nikolai Podvoiskii , the first Narkomvoen (i.e. Commissar for Military & Naval Affairs – until March 13th 1918 when at his own request he stepped down from this post – Footnote no.3; Ibid; Meijer; p. 7) discussed with the Bolsheviks party Military Organisation the formation of a new army. Initially Kedrov argued for an army based purely on industrial workers and peasants who had “proven loyalty” to the Bolshevik Party. But finally a proposal was agreed to that the army would be made up of “the labouring classes, workers and peasants with a firm proletarian core”; Cited von Hagen, Mark: “Soldiers in the Proletarian Dictatorship. The Red Army & The Soviet socialist state 1917-1930”; Ithaca 1990; p.9. But by January 1918, mass desertions from the army were rife, and soldiers committees were unilaterally dissolving units. Soldiers seized arms and went home. Luckily, since 1917, the soviets had been organising Red Guards and militias. It was these that had seized State Power for the Military Revolutionary Committee of the Bolsheviks, when they overthrew the Provisional Government. It was also these Red Guards that defended Petrograd on November 10th 1917, from the counter-revolution led by General Petr Krasnov and former minister-president Alexsandr Kerensky. Cited von Hagen; Ibid p.21-22. The general model was of the Paris Commune and its fully volunteer army. The soldiers committees, rejecting any question of an officer leadership, discarded all traces of an officer layer. All military courts had been abolished by Sovnarkom in November, and replaced by comrade courts (tovarish-cheskie sudy). Also on December 1, 197, the Petrograd Military District abolished all ranks and insignia, and privileges for officers, and started the election of officers. It is on the face of it, surprising then that some 8,000 generals and officers of the Imperial army would wish to volunteer to serve the Soviet state. These officers were received with great suspicion, and the term “military specialists” pointed out their expertise, without drawing attention to their prior allegiances. In order to create a new ‘communist’ officer corps, Sovnarkom initiated courses for Red Commanders in December. By end of 1918, there were 13,000 red commanders through the state. The first test of the new state defence forces came in Estonia, in 1918 at Narva – when the German army battled with the Red Guards. In the absence of central professional leadership, and the refusal of the Red Guards to accept any orders unless given by elected commanders, the rout was inevitable. Immediately after this, the Treaty of Brest-Litovsk was finally signed, and the Red Army was under pressure to adopt professional standards. “Short History of the CPSUB“; Ibid; p.216. “Short History of the CPSUB“; Ibid; p. 216. Short History of the CPSUB“; Ibid p. 217. “Short History of the CPSUB“; p. 217. “In order that the Party might pronounce its final decision on the question of peace the Seventh Party Congress was summoned. the congress opened on March 6, 1918. This was the first congress held after our Party had taken power. It was attended by 46 delegates with vote and 58 delegates with voice but no vote, representing 145,000 Party members…. reporting at this congress on the Brest-Litovsk Peace, Lenin said that ". . . the severe crisis which our Party is now experiencing, owing to the formation of a Left opposition within it, is one of the gravest crises the Russian revolution has experienced." (Lenin, Selected Works, Vol. VII, pp. 293-94.). The resolution submitted by Lenin on the subject of the Brest-Litovsk Peace was adopted by 30 votes against 12, with 4 abstentions…. .
On the day following the adoption of this resolution, Lenin wrote an article entitled "A Distressful Peace," in which he said: "Intolerably severe are the terms of peace. Nevertheless, history will claim its own. . . . Let us set to work to organize, organize and organize. Despite all trials, the future is ours." “Short History of the CPSUB“; Ibid; p.218. Obviously, the treaty was a retreat. But was it needed, and what was the result of signing the Brest-Litovsk Treaty? “Short History of the CPSUB“; Ibid; p. 219. In the wake of this enforced “respite”, Sovnarkom began to reorganize the army. Von Hagen M; ”Soldiers in the Proletarian Dictatorship”; Ibid; p. 64. As part of the re-organisation, Lev Trotsky was appointed as commander in chief of the army, in place of the collegium. He was therefore the second Bolshevik Commissar for war, following Podvoiskii as discussed above. Given the dearth of trained communist commanders, Trotsky moved to ensure that Sovnarkom would approve the recruitment of former Tsarist officers. Undoubtedly this was correct. What was incorrect was the lack of supervision and the favouring of these element over the political cadre. Inevitably, this was going to cause conflict with the soldiers committees. Trotsky had to appeal to the All Russian Central Executive Committee (VtsIK), who stated that all commanders in the Red Army would be only appointed by higher-ranking commanders. But even this compromise was still resisted, and elected commanders were still in position up to 1919. In a compromise known as “dual command” (dvoenachalie), each commander had to have a political equivalent – the commissar, and each order had to be signed by both. It was now that the All-Russian Bureau of Military Commissars (Vsebiurvoenkom) identified the soldiers committees as an obstacle in ensuring authority in the army, and moves were taken to disband them. The encirclement of the USSR by the capitalist states, facilitated the foreign incursions into the USSR, which directly and indirectly aided the counter-revolutionary white forces. Great Britain Serbia France China Japan Finland Germany Greece Italy Poland USA Rumania Czechoslovakia Turkey. Fighting side by side with the anti-Soviet invaders were the counter-revolutionary White armies led by former Czarist generals striving to restore the feudal aristocracy which the Russian people had overthrown”; Sayers M & Kahn AE; The Great Conspiracy”; Boston; 1946; p.79. “Overthrown by the October Socialist Revolution, the Russian landlords and capitalist began to conspire with the capitalists of other countries for the organisation of military intervention against the Land of the Soviet…. 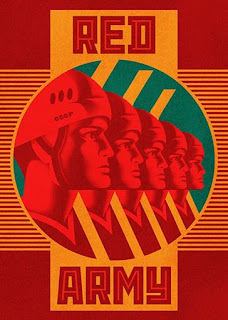 The Soviet Government proclaimed the Socialist fatherland in danger and called upon the people to rise in its defence. The Bolshevik Party rallied the workers and peasants for a patriotic war against the foreign invaders and the bourgeois and landlord Whiteguards”. Alexandrov GF et al: “Joseph Stalin – A Short Biography”; Moscow 1952; p.59. “Thus, already in the first half of 1918, two definite forces took shape that were prepared to embark upon the overthrow of the Soviet power, namely, the foreign imperialists of the Entente and the counter-revolutionaries at home. . . The conditions of the struggle against the Soviet power dictated a union of the two anti-Soviet forces, foreign and domestic. And this union was effected in the first half of 1918. . . . The imperialists of Great Britain, France, Japan and America started their military intervention without any declaration of war, although the intervention was a war, a war against Russia, and the worst kind of war at that. These "civilized" marauders secretly and stealthily made their way to Russian shores and landed their troops on Russia's territory. . . The British and French landed troops in the north, occupied Archangel and Murmansk, supported a local Whiteguard revolt, overthrew the Soviets and set up a White "Government of North Russia." The Japanese landed troops in Vladivostok, seized the Maritime Province, dispersed the Soviets and supported the Whiteguard rebels, who subsequently restored the bourgeois system. “Short History of the CPSU(B)”; p. 226. “The war was fought across three main fronts - the eastern, the southern and the northwestern. It can also be roughly split into three periods. The first period lasted from the Revolution until the Armistice. The conflict began with dissenting Russian groups, the main force was the newly formed Volunteer Army in the Don region which was joined later by the Czecho-Slovak Legion in Siberia. In the east there were also two anti-Bolshevik administrations, Komuch in Samara and the nationalist Siberian government centred in Omsk. Most of the fighting in this first period was sporadic, involving only small groups amid a fluid and rapidly shifting strategic scene. The main antagonists were the Czecho-Slovaks, known simply as the Czech Legion, and the pro-Bolshevik Latvians. The second period of the war was the key stage, it lasted only from March to November 1919. At first the White armies advancing from the south (Anton Denikin), the northwest (Nikolai Nikolaevich Yudenich) and the east (Aleksandr Vasilevich Kolchak) were successful, forcing the new Red Army back and advancing on Moscow. However under . the Red Army … pushed back Kolchak's forces from June and the armies of Denikin and Yudenich from October. The fighting power of Kolchak and Denikin was broken almost simultaneously in mid-November. All of these military threats, forced further steps towards a professional army, and on April 22 1918, VtsIK decreed an obligatory military training for all workers and peasants. “Short History USSR”; Ibid; p. 228. Von Hagen confirms these figures, citing some 500,000 new recruits and over 700,000 citizens trained by The Universal Military Training Demonstration (Vsevobuch) (ibid p. 36). Vsevobuch was led by L.E.Mar’iasin. It retained the model of a volunteer militia rather than a regular army. But as the Civil War erupted in the East – foreign troops had landed in Vladivostok and in the North – the anti-Bolshevik risings stirred VtsIK into conscription. This was a difficult task however, in a war weary peasantry, and even proletariat. As food crises developed in the countryside, mutinies were more frequent. Von Hagen Ibid p. 32.
von Hagen Ibid p. 34. “The Soviet Government introduced War Communism. It took under its control the middle-sized and small industries, in addition to large-scale industry, so as to accumulate goods for the supply of the army and the agricultural population. It introduced a state monopoly of the grain trade, prohibited private trading in grain and established the surplus-appropriation system, under which all surplus produce in the hands of the peasants was to be registered and acquired by the state at fixed prices, so as to accumulate stores of grain for the provisioning of the army and the workers. Lastly, it introduced universal labour service for all classes. By making physical labour compulsory for the bourgeoisie and thus releasing workers for other duties of greater importance to the front, the Party was giving practical effect to the principle". “Short History of the CPSU(B); Ibid; p.229. These directly military steps at the congress were largely favoured by Trotsky. However the seeds of later conflicts lay in his tendency to favour the former Tsarist officers, rather than the commissar. Trotsky’s leadership of the army was still facing much opposition. “In July the commander of the Western Front Murav’ev, raised a mutiny against Soviet power under the banner of solidarity with the recent Left SR uprising in Moscow. Murav’ev had already been arrested once for abusing his authority; Trotsky had arranged not only his release but his promotion to command of the Eastern Front. Murav’ev was killed resisting his second arrest… Iokaim Vatsetis the hero of the Latvian infantry division that had just put down the Left SR uprising in Moscow [of July 6-7 1918 –ed], rushed off to Simbirsk to replace Murav’ev and reorganize the Eastern Front. Vatsetis arrived at HQ to find bureaucratic chaos… Vatsetis accused the Supreme Military Council – namely, Trotsky and Chief of Staff Mikhail Bonch-Bruevich – of reducing Soviet Russia to a state of “utter defenselessness”. Von Hagen Ibid; p. 37. “Trotsky’s authority declined markedly in the wake of the Murav’ev incident. He sought to deflect criticism from himself and the military specialists by blaming the commissars for the army’s poor performance; but he won the lasting enmity of the commissars after he ordered the court-martial and shooting of one of their number. Commissar Panteleev, for desertion. Though he had warned all commissars a few weeks earlier that they would be the first persons shot if their units retreated without authorisation, still the first execution sent shock waves through the ranks. Trotsky quickly developed a reputation as a commander who placed military expediency over political reliability and who listened too much to the military specialists who surrounded him in increasing numbers.” Von Hagen; Ibid; p. 37. Von Hagen Ibid; p. 38. Message Trotsky to Lenin; In Meijer Ibid; p. 81. Message Lenin to Trotsky; in Meijer Ibid; p. 91. 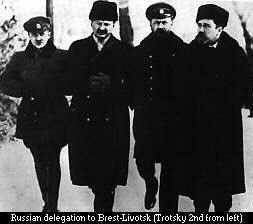 Repetitively, the charge was brought against Trotsky by numerous commissars and Red Commanders, that he favoured in a blind manner the old Tsarist ex-generals. After an article in Pravda on this by a amber of the Central Executive Committee A.Kamenskij, Trotsky was even more defensive. Kamenskij was a Trotskyite, and thus no ‘hay’ can be made of any putative ‘Stalinist’ attempt to undermine him here. (See Letter to the Central Committee of the Russian Communist Party by Trotsky of December 25th 1918; in Miejer Ibid; p. 205-209; & footnote no.1). Even by September, the situation remained tense. the Soviet Government decreed martial law for the whole country. And although the Eastern fronts were succeeding, almost immediately the South erupted under the White armies of General Anton Denikin. Now, 1,134,356 men were called up in the largest recruitment of the entire Civil War, between October and December 1918.
von Hagen Ibid p. 39. Meijer J.M; Ibid; footnote No 1 p. 49. “Short History CPSU(B)”; Ibid; p.227-8; 228-229. “Arrived in Tsaristyn on the 6th. Despite the confusion in every sphere of economic life, order can be established. Stalin JV: Telegram to V.I.Lenin; Dated June 7th, 1918; In “Works”; Volume 4; p. 118-119; Moscow 1953. “Comrade Lenin, Just a few words. 1) If Trotsky is going to hand out credentials right & left without thinking – to Trifnov (Don Region); to Avtonomv (Kuban region); to Koppe (Stavropol), to members of the French Mission (who deserve to be arrested), etc – it may be safely said that within a month everything here in the North Caucasus will go to pieces, and we shall lose this region altogether. Trotsky is behaving in the same way Antonov did at one time. Knock it into his head that he must make no appointments without the knowledge of the local people, otherwise the result will be to discredit the Soviet power. 3) There is plenty of grain in the South, but to get we need a smoothly working machine which does not meet with obstacles from troop trains army commanders & so on. More, the military must assist the food agents. The food question is naturally bound up with the military question. For the good of the work, I need military powers. I have already written about this, but have had no reply. Very well, in that case I shall myself without any formalities, dismiss army commanders and commissars who are ruing the work. The interest of this work dictate this, and of course, not having a paper from Trotsky is not going to deter me”. July 10th: Stalin JV: Letter to V.I.Lenin; in Works Volume 4; Ibid p. 123. Letter to Lenin dated August 4th 1918; Works Stalin; Ibid; p. 126. By September 6th the offensive for Tsaritsyn was successful (Stalin 'Works'; Volume 7 Telegram to Council of Peoples Commissars; Volume 4; p. 131. Message to Trotsky 7th June 1918; Meijer Ibid; p. 47. Stalin JV: “The Southern Front. Izvestia Interview”; September 21 1918; Volume 4; Ibid; p. 133-5. There is little doubt that Trotsky’s management of that Front had been clearly exposed. Trotsky now insisted upon Stalin’s recall by threatening Vorsohilov’s court martial on October 4, 1918 (Trotsky “My Life”; p.443; Note Trotsky to Lenin 4.10.1918; in Meijer Ibid; p. 135-137). In fact as Meijer (Footnote no. 2; Ibid p. 136) makes clear, Trotsky’s action was precipitated by a telegram from Voroshilov and Stalin to Lenin on 3rd October complaining of Trotsky’s work. Sytin was left in charge, until in October was removed from the command of the Southern Front (Meijer Ibid; p. 48). In the month of October, Stalin’s speeches on the Southern Front were given prominence in both Iszvestia and Pravda. These are reprinted on the Alliance web-pages [ ]. Attributed by different sources to either Lenin or Sverdlow: Communication to Trotsky 23.10.1918; In Meijer Ibid; p. 159-161. Trotsky had no choice but to accede to Lenin’s obvious pressure to meet Stalin. However, Stalin did not return to the Southern Front. Instead his next military mission was his appointment to the Defense Council on November 30th, and then a special mission to investigate military failures in Perm’. In the meantime, Voroshilov wrote urgently to Lenin complaining of the inability to obtain small arms and shells (See Telegram to Trotsky from Lenin 24 October 1918) to which Trotsky cavalierly replied that the “Crisis” was due to the “incredible, completely rabid expenditure of ammunition” at Tsartisyn (See Telegram Trotsky to Lenin 25 October 1918; Meijer Ibid; p. 163). Typically of Trotsky, after he ridicules legitimate grievances, he then “discovers” the problem for himself, as instanced in a lengthy analysis of the problem [Memorandum to Lenin; copied to Krasin and Serpuchov; November 29, 1918; In Meijer Ibid; p. 187-191; p. 193]. The systemic problem of which Vosroshilov was complaining, was due to the small scale of the factories responsible, and the hostility of their former owners. Egorov A to Lenin, cced Trotsky: Meijer Ibid; p. 90-97. Morale fell drastically. Even many party members, as well as regular soldiers, now deserted, and Trotsky ordered summary executions of these soldiers and the arrest of all rural soviet chairmen in whose jurisdiction deserters were found (von Hagen; Ibid p. 46). The problem of desertions was eased as the army men were given concessions: tax relief to the families of Red Army men and provision of free apartments to their families. But as the Sixth Congress of Soviets in November 1918, turned more determinedly back to the peasant masses, these problems reversed. For many of the problems, had their roots in food shortages and privation in both the countryside and correspondingly the army. 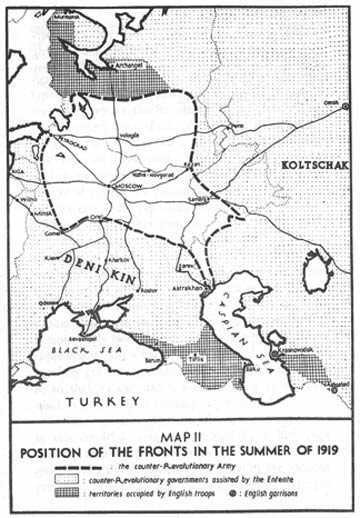 Illustrating the extent of this crisis are Lenin’s “Theses On The Current Situation”, of 26 May 1918. Again the seriousness of Stalin’s intervention at Tsaritsyn in June, is highlighted by an appreciation of the situation. “1) The Commissariat for War to be converted into a Commissariat for War and Food - i.e., 9/10 of the work of the Commissariat for War to be concentrated on re-organising the army for the war for grain and on waging this war - for three months: June-August. 2) Martial law to be declared throughout the country during this period. 3) The army to be mobilised, selecting its sound elements, and 19-year-olds to be called up, at any rate in certain regions, for systematic military operations to fight for, win, collect and transport grain and fuel. 4) Shooting for indiscipline to be introduced. 5) The success of detachments to be measured by success in obtaining grain and by practical results in collecting grain surpluses. c) safeguarding stocks of coal, collecting them and increasing output. 7) The detachments of the active army (active against kulaks, etc.) to consist of from one-third to one-half (in each detachment) of workers and poor peasants of the famine-stricken gubernias. b) military-organisational, on the internal organisation of the detachments, on discipline, on control and written documents of control for each operation, etc. 9) A collective liability of the whole detachment to be introduced, for example the threat of shooting every tenth man-for each case of plunder. 10) All means of transport belonging to rich persons in the towns to be mobilised for work In transporting grain; well-to-do classes to be mobilised to act as clerks and stewards. 11) If signs of demoralisation of the detachments become threateningly frequent, the "sick" detachments to be sent back after a month, i.e., exchanged, to the place from which they came, for report and "treatment". (e) the appointment to each military detachment-at the rate of at least one out of approximately ten men- of persons with a party recommendation of the R.C.P., the Left Socialist-Revolutionaries or the trade unions. Lenin’s Collected Works, 4th English Edition, Progress Publishers, Moscow, 1972 Volume 27, pages 406-407. After Lenin’s Theses of May, clearer signs of ensuring the solidarity of the peasants appeared. Rural soviets were being urged now to mend relations with the poor and middle peasants. Army units composed only of poor peasants were now formed. Steadily the ‘militarization’ – or professionalisation of the army proceeded. The conflicts between commissars and military specialists were numerous in 1918, as in 1918 75% of the Red Army commanders were from the old army. Another layer of authority was the Cheka, which again blurred clear lines of authority. Further divisions at rank-and-file level also now erupted as the party recruits, who insisted on reporting to their own communist party cells in the local party and armies. The commissars were being cramped on two sides now – from the Military specialists at one end, and form the other end separate Party organisations. At the same time elements of the party members were ‘lording’ it over the other recruits. The old Red Guard militias had slowly evolved into another voluntarist model, of the rural partisans or guerrillas. These also maintained elections of commanders and anti-authoritarian principles, and represented in a sense the peasant based self-defence units as central authority had broken down in many parts. At first, while these partisans were fighting against the German and Austrian occupying forces, or against the Whites of hetman Petlurya in Ukraine, several commanders and some commissars (including Voroshilov, Stalin, and Budyenni) had initially supported them. But as these partisans resisted attempts to integrate into the Red army, and proved unreliable in joint actions, and moreover appointed SR and anarchist political advisers, matters changed. A strong anarchist, rural petit-bourgeois element with some forces led by Nestor Makhno, proved further illustrations of the need for discipline. von Hagen, Mark: “Soldiers in the Proletarian Dictatorship. The Red Army & The Soviet socialist state 1917-1930”; Ithaca 1990; p.52-3. Lenin To Trotsky; in Meijer Ibid; 13th December 1918; 14th December 1918; Pages 195; 197). Telegram to Trotsky & Kozlov; In Meijer Ibid; p. 229. “I entirely share your apprehension as to the excessive softness of the comrade who has left. I agree to the journey of Stalin with full authority from the Party and the Military Revolutionary Council of the Republic, for the purpose of restoring order, purging the commissar personnel and severely punishing offenders. I recommend that Lasevic be appointed Member of the Military Revolutionary Council on the Northern Front..” Telegram Trotsky to Lenin: January 1, 1919; in Meijer Ibid; p. 229-31. Stalin JV & Dzerzhinsky F: Letter to V.I.Lenin From the Eastern Front”; January 5th 1919. Works; Volume 4; 190-193. Telegram Lenin to Trotsky; 3 January 191; in Meijer Ibid; p. 237. Although Trotsky defended his Ukraine actions, and blamed “Stalin’s protection of the Tsaritsyn trend the most dangerous sort of ulcer, worse than any act of perfidy or treachery on the part of the military specialists” [January 11th 1919 Telegram to Lenin: In Meijer Ibid; p. 251), Lenin cannot have been overly impressed with this. For because by January 31 1919, Felix Dzerzhinsky (Head of the Cheka) & Stalin had provided a very detailed exposure of the fall of Perm’ [Stalin’s Works Volume 4; Report to Lenin; Ibid; pp194-199; & Report to Comrade Lenin by the Commission of the party CC and the Council of Defence on the reasons for the fall of Perm in December 1918: p 202-232. [See web-site of Alliance reprint at ]. “Disaster was inevitable… apparent by end of November, when the enemy.. surrounded the Third Army… and launched a fierce attack on Khusva. .. The morale and efficiency of the army were deplorable owing to the weariness of the units, .. there were no reserves whatever. The rear was totally insecure ( a series of demolitions of the railway track in the rear of the army). The food supply of the army was haphazard and uncertain (at the most difficult moment, when a furious assault was launched against the 29th division, its units were in action for five days literally without bread or other food). The Commission: Stalin & Dzerzhinsky; Report to Comrade Lenin by the Commission of the Party CC and the Council of defence On the Reasons for the Fall of Perm’ in December 1918; in “works”; Volume 4; Ibid; p. 202-232. Pjakes reports that there is manifest sabotage on the part of the railway workers. The Omsk railway works , which employ 3,000 workers, have produced no locomotives and four railway wagons in the space of a month: there are suspicions of sabotage by the Izevsk workers; I am surprised that you are putting up with this and do not punish sabotage with shooting; also the delay over the transfer here of locomotives is manifest sabotage; please take the most resolute measures. Meijer Ibid: Volume 2: number 444 of documents; pp 21-22. The situation with regard to railway transport is quite catastrophic; Grain supplies no longer get through. Genuine emergency measures are required to save the situation. For a period of 2 months, measures of the following kind must be put into force…. Meijer, Ibid; Volume 2; Document 445; p. 23. The CC considers it essential in order to save the situation that you should go at once to the right flank of the Caucasus Front via Debal’cevo where Sorin is at the moment. At the same time, you must take urgent measures to transfer substantial reinforcements and Party workers from the Southwestern Front. In order to put matters on a proper footing you will be made a member of the Military Revolutionary Council of the Caucasus Front while continuing at the same time to belong to the Military Revolutionary Council of the South-Western Front. Document 446. Meijer Ibid; Volume 2; pp26-27. Document 447; In Meijer Ibid; p, 27. Although this has been variously presented by Trotsky as insubordination or even ‘laziness’, it is likely that Stalin was at least unwilling to simply pull Trotsky’s chestnuts out of the fire, and then end up being again side-lined. However the situation in the army was soon to change. There were later Stalin missions to Petrograd, and to the Crimea, which are dealt with in Part Two of this article. Many, including Trotsky and Old Bolsheviks like Mikhail Frunze ( a commander on the Eastern Front) had complained of the unruliness of the partisan elements. But this was only one aspect of things going wrong, and Trotsky was under scrutiny. Matters came to a head at the Eight Party Congress of 18 March 1919. It was at this meeting that the lessons of recent defeats would be drawn. “The Eighth Congress marked a turning point in the policy of the Party towards the middle peasants. Lenin's report and the decisions of the congress laid down a new line of the Party on this question. The congress demanded that the Party organizations and all Communists should draw a strict distinction and division between the middle peasant and the kulak, and should strive to win the former over to the side of the working class by paying close attention to his needs. The backwardness of the middle peasants had to be overcome by persuasion and not by compulsion and coercion…..
Short History of the CPSU(B); Ibid; p. 234-5.
von Hagen Ibid; p. 55.
von Hagen Ibid; p. 65. 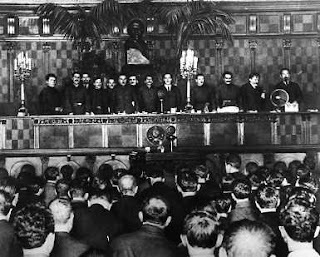 At the 8th Party Congress on 18 March 1919, some 403 delegates attended, of whom 40 represented the 31000 party members in the Red Army. Trotsky was ill, but Grigorii Sokol’nikov presented the Theses of the Commissariat – largely drafted by Trotsky. These largely declared the need to eliminate vestiges of volunteer army organising and to tighten discipline. However, his defence on behalf of the military specialists was not well received. von Hagen Ibid; p. 59. 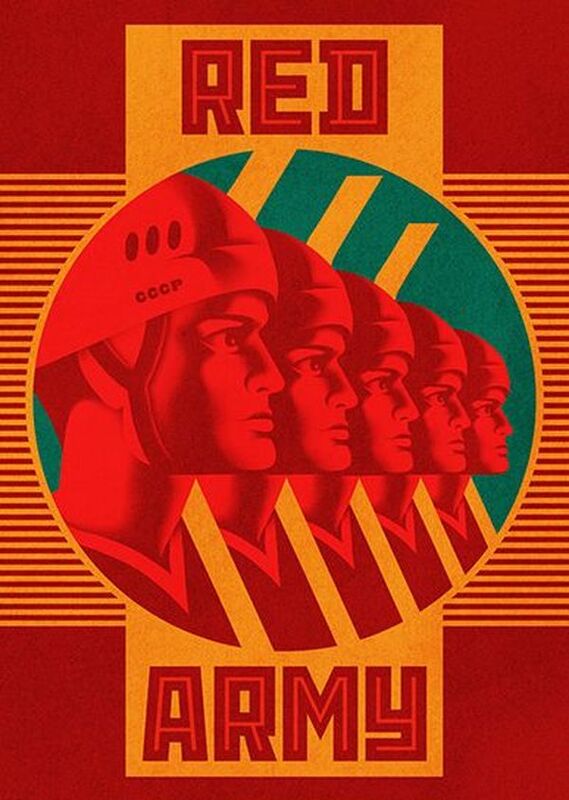 “The problems connected with the building up of the Red Army held a special place in the deliberations of the congress, where the so-called "Military Opposition" appeared in the field. This "Military Opposition" comprised quite a number of former members of the now shattered group of "Left Communists"; but it also included some Party workers who had never participated in any opposition, but were dissatisfied with the way Trotsky was conducting the affairs of the army. The majority of the delegates from the army were distinctly hostile to Trotsky; they resented his veneration for the military experts of the old tsarist army, some of whom were betraying us outright in the Civil War, and his arrogant and hostile attitude towards the old Bolshevik cadres in the army. Instances of Trotsky's "practices" were cited at the congress. For example, he had attempted to shoot a number of prominent army Communists serving at the front, just because they had incurred his displeasure. This was directly playing into the hands of the enemy. It was only the intervention of the Central Committee and the protests of military men that saved the lives of these comrades. But while fighting Trotsky's distortions of the military policy of the Party, the "Military Opposition" held incorrect views on a number of points concerning the building up of the army. Lenin and Stalin vigorously came out against the "Military Opposition," because the latter defended the survivals of the guerrilla spirit and resisted the creation of a regular Red Army, the utilization of the military experts of the old army and the establishment of that iron discipline without which no army can be a real army". Short History of the CPSU(B); Ibid; p. 235. Short History CPSU(B); Ibid; p. 235. “All the questions touched upon here boil down to one: is Russia to have, or not to have, a strictly disciplined regular army? Six months ago, after the collapse of the old, tsarist army, we had a new, a volunteer army, an army which was badly organized, which had a collective control, and which did not always obey orders. This was at a time when an Entente offensive was looming. The army was made up principally, if not exclusively, of workers. Because of the lack of discipline in this volunteer army, because it did not always obey orders, because of the disorganization in the control of the army, we sustained defeats and surrendered Kazan to the enemy, while Krasnov was successfully advancing from the South. . . . The facts show that a volunteer army cannot stand the test of criticism, that we shall not be able to defend our Republic unless we create another army, a regular army, one infused with the spirit of discipline, possessing a competent political department and able and ready to rise at the first command and march against the enemy. I must say that those non-working-class elements -- the peasants -- who constitute the majority in our army will not voluntarily fight for socialism. A whole number of facts bear this out. The series of mutinies in the rear and at the fronts, the series of excesses at the fronts show that the non-proletarian elements comprising the majority of our army are not disposed to fight for communism voluntarily. Hence our task is to re-educate these elements, infusing them with a spirit of iron discipline, to get them to follow the lead of the proletariat at the front as well as in the rear, to compel them to fight for our common socialist cause, and, in the course of the war, to complete the building of a real regular army, which is alone capable of defending the country. That is how the question stands.
. . . Either we create a real workers' and peasants' army, a strictly disciplined regular army, and defend the Republic, or we do not, and in that event our cause will be lost. 3) On an obligatory monthly conference between Comrade Trotsky and Party workers. Cmde Zinoviev considered that the Congress had , by token of its entire line of conduct on the military question, administered a serious caution and that, in consequence of this, it was inadmissible that all its direction should be treated with insufficient heed, and that, for this reason, it was essential for Comrade Lenin to talk things over with Comrade Trotsky… . .
Minutes of Meeting of the CC, RCP (Bolsheviks); new convocation held on 25th March 1919: Present Comrades, Lenin, Zinoviev, Krestinskji, Bukharin, Stalin, Tomski, Kamenev, Dzerinskji, Beleborodov, Muranov, Evdokimo, Serebrjakov, Stasova. In Meijer Ibid; p. 319-321. Typically of Trotsky, a rather long-winded reply that attempts to exculpate himself form any criticism followed, with imputations of psychological disease to Voroshilov, in March (undated) [In Meijer Ibid; p. 325-335]. We will argue that the Homeric Myth of the Super Hero of the Civil War – not the first – but the Second Commissar of war – had been already somewhat dented by these above facts. We will return to the matter in examining the drive of the Red Army to Poland. It may be asked here, did Comrade Trotsky finally accept the critique offered by the CC of the RCP? It will appear not, when we move forward. “Following the capture of Krasnaya Gorka, Seraya Losad has been taken. Their guns are in perfect order. A rapid check of all the forts and fortresses is under way. Naval experts assert that the capture of Krasnaya Gorka form the sea runs counter to naval science. I can deplore so-called science. The swift capture of Gorka was due to the grossest interference in the operations by me and civilians generally, even to the point of counter-manding orders on land and sea and imposing our own. Stalin Telegram to V.I. Lenin: June 16trh 1919; Volume 4 Ibid; p. 271.